Need your attic cleaned and junk removed? Get the junk out of the attic! We clean up, remove and recycle any unwanted items in your attic. We remove all types of junk and clean sweep your attic. For your attic clean out service call us today to get your attic cleaned of boxes, debris, old furniture, old insulation or whatever needs to be removed to make your attic usable again. Considering an attic clean out? Your best choice is GEO Junk Removal! Call GEO Junk Removal at 978-778-6323. We're your local junk removal company. Let us do the heavy lifting and dirty work and make your attic clean again! You benefit from us cleaning out your attic! Geo Junk Removal specializes in Junk Removal & Hauling in the North Shore area. 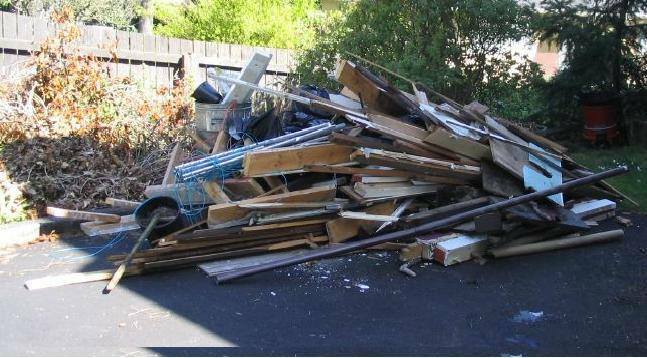 Helping residential and commercial clients remove whatever type of Trash, Junk or Debris you have. Affordable rates, convenient scheduling and even same-day service! Testimonial - "Thank you, thank you, thank you. They did such a great job. I will recommend you any chance I get."